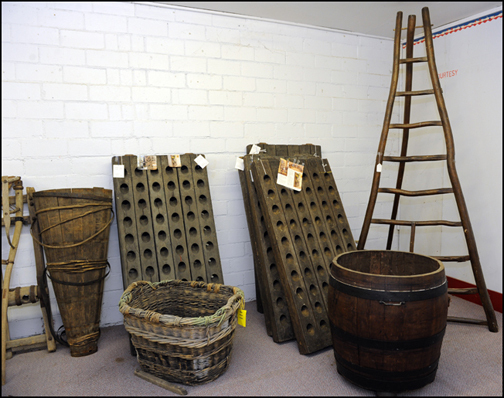 Do you have a wine cellar in your home?? Or do you grow your own grapes and make your own wine?? Well, we have some fabulous furnishings for you! 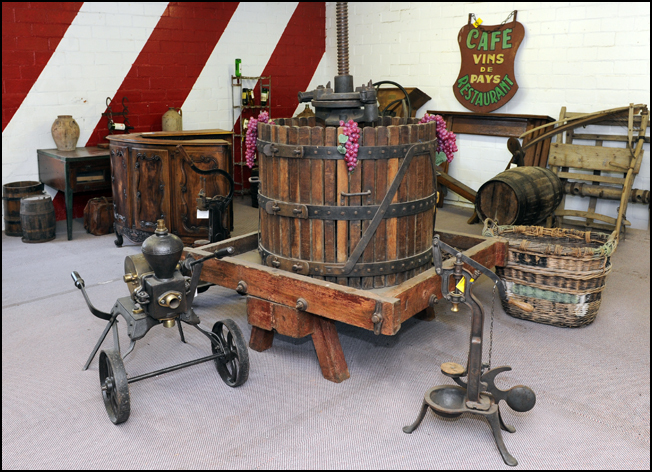 All old and authentic, and all straight from France, we have wine presses, corking machines, a wine pump, riddling racks, posters, grape-picking baskets, wine barrels of all sizes, bottle racks of all shapes and sizes, a wonderful walnut two-sided bar, bottles in baskets, and even a wine storage bottle encased in a wooden box. 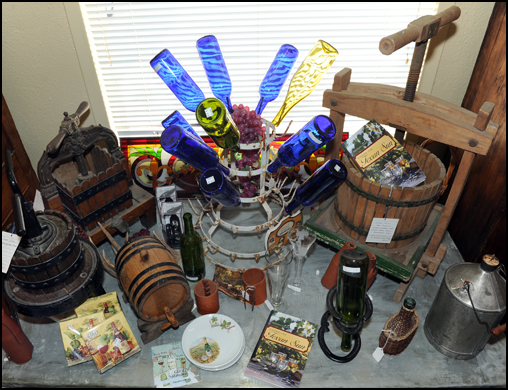 You’ll love our assorted collection, and you won’t believe that you can find all of this in such a small town!